This exhibit highlights a selection of professional photographers who, for over 130 years, have documented our city. Examples of the featured photographers' work are found in the Wichita Photo Archives. Click on any image to view an enlargement. Use the back arrow to return to this page. Of Quaker descent, Nereus Baldwin was born January 8, 1840, near Dalton, Indiana. 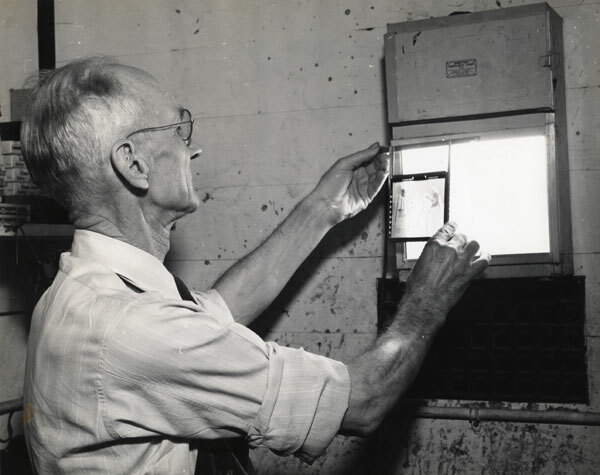 At the age of 20 he opened his first gallery in Farmland, Indiana. In 1869, Baldwin moved to Lawrence, Kansas, and operated a business there for several years. By 1873 he moved to Wichita, then a small town of just over 2000 people, and opened a gallery. Nereus Baldwin was one of the first photographers to work in Wichita. His photographic gallery was located for many years above 118 East Douglas. He photographed scenes of early Wichita, its townspeople, and of notable events. He also took stereoscopic photographs of street scenes. In the mid-1870s Baldwin opened a portion of his studio to the Wichita Public Library for offices and a library. A small collection of books was kept in the reception room of the photograph gallery, upstairs in the New York Store building. In July 1877, the circulating library moved from Baldwin's studio to the front basement room of the First National Bank Building. Baldwin's oldest son was William F. (Fred) Baldwin, another early Wichita photographer. Baldwin was in business with his son from 1886 until the time of his death. The photographic gallery called N. Baldwin & Son continued to be located at 118 East Douglas. In 1904, the local paper reports that Nereus Baldwin, along with his son Fred, had taken over 150,000 pictures since opening the gallery in 1873, with about 50,000 negatives of these images kept. Nereus Baldwin died on March 30, 1901, and is buried in Maple Grove Cemetery in Wichita. View images of and by Baldwin and his son in Wichita Photo Archives. William F. Baldwin was born May 31, 1866. His father was the early Wichita photographer Nereus Baldwin. By 1886, William F., known as Fred, joined his father's studio located on the second floor of 118 East Douglas Avenue to form N. Baldwin & Son. In 1902, Nereus retired and Fred opened the Fred Baldwin Studio at the same address. In October 1905, Fred Baldwin left for San Diego, to take charge of a gallery in which he had purchased an interest. 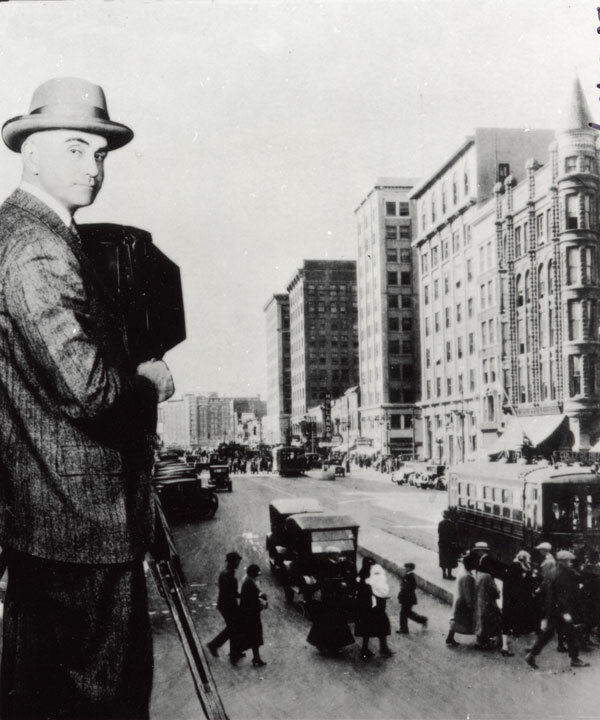 Fred H. Reed, a photographic operator working for Baldwin, was left in charge of the Wichita business. Baldwin didn't return to his studio in Wichita until April 1911. While he was away he studied in some of the leading galleries in the United States, and he made several pictures that received awards in the National Photographers' Association. Late in 1911, Baldwin sold his photographic studio to Fred H. Reed and went south for his health. Upon his return in the spring of 1912, Baldwin briefly reopened the Fred Baldwin Studio, but sold this business in October 1912 to Reed. It was consolidated with the Reed Studio. On January 13, 1913, Fred Baldwin died of consumption in Silver City, New Mexico. He is buried in Maple Grove Cemetery in Wichita. View images of and by Baldwin and his father in Wichita Photo Archives. 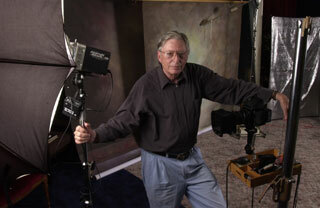 Wichita photographer Howard Eastwood began his career in photography at an early age with a Kodak Baby Brownie camera. From 1954 until 1955 Eastwood worked as a photographer for the Wichita Eagle. Starting his own studio out of his home, he later established the Eastwood Studio in the Twin Lakes Shopping Center and, later, in the Indian Hills Shopping Center. He would remain there until his retirement in 2001. Eastwood's collection of portraits and cityscapes span almost 50 years of Wichita's history. View images by Howard Eastwood and from his collection in Wichita Photo Archives. Photograph at left courtesy of the Wichita Eagle. 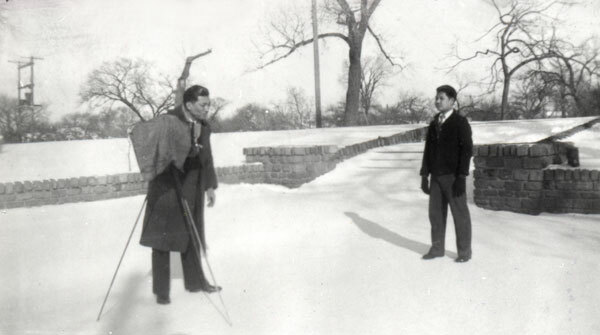 During the 1920s, many Chinese men immigrated to the United States. Those who arrived in Wichita established restaurants that employed the next generation of immigrants in the 1930s. M. S. Fong was one such young man who supported himself in the restaurant trade but also followed his ambition to become a photographer and an artist. He arrived in Wichita in the mid-1930s at about the age of 18. He worked at the Chinese-owned Pan American Café until 1940, at which time he purchased a share as co-owner of the Fairland Café which had recently changed its name from the Mandarin Inn. His involvement with the popular Fairland Café lasted until 1969. Throughout his life, however, he continued his photography. In his early years in Wichita he practiced his skills on his fellow Chinese co-workers and several examples of those photographs remain. There is evidence that he operated the Wichita Studio at 411 East Douglas Avenue in 1940 and 1941. Later, he maintained a photographic studio in his home from 1952-1962. View images of and by Fong in Wichita Photo Archives. 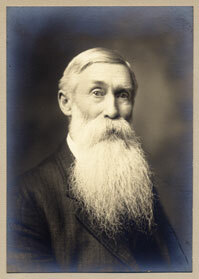 Alden Wakefield Harden was born in Washington Township, Hamilton County, Indiana, on April 20, 1838. Harden was forced to retire from farm life while a young man because of sunstroke. Moving to Indianapolis in 1859, he took up photography when it was in its earliest stages. Precluded from active service in the Civil War, he was a frequent visitor to camps near Indianapolis, making tintypes of soldiers. 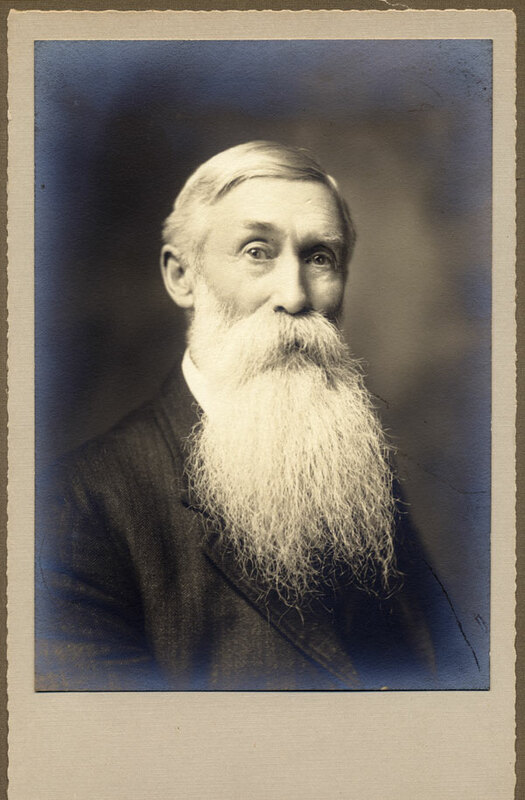 Coming to Wichita in 1885 at age 47, Mr. Harden bought the Lee Ong Studio and conducted his business for 34 years in the same room above 204 East Douglas. His specialty in the photography business was taking portraits. 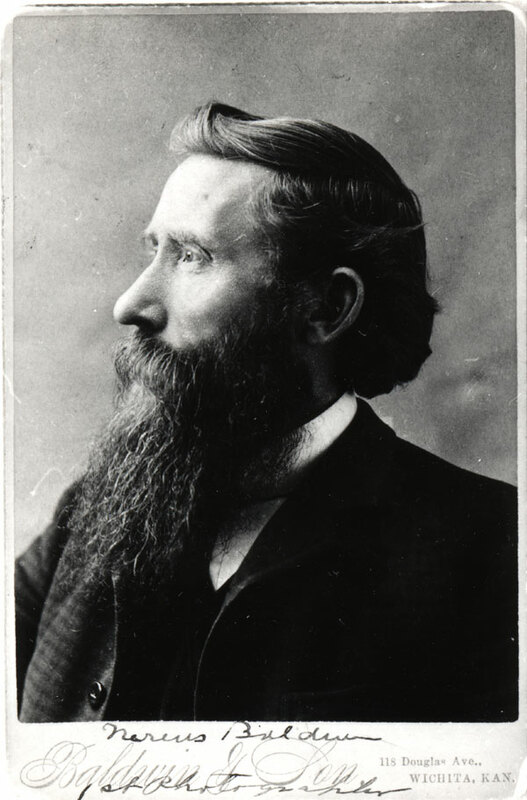 From 1886 through 1887 Harden was a partner with G. A. Ostergren in the firm Harden & Ostergren. The following year, Ostergren left Harden's studio and began work next door with I. S. Worrall. Alden then renamed his studio Harden's Photograph Gallery. By 1902, Homer T. Harden, Alden's son, began working as a photographer at his father's studio, and the following year joined his father's business to form A.W. Harden & Son. Homer stayed with his father's studio until 1908 when he left to become a commercial photographer and to open his own studio at 215 East Douglas. Harden retired March 1, 1919, selling his business to F. A. Wesely. During his long career, he had established studios at Mulvane, Peabody, Belle Plaine, Conway Springs and Whitewater, but later sold them. Alden Harden died from a heart attack at age 89 on June 13, 1927. His pallbearers, all Wichita photographers, were Frank Wesely, Fred Reed, William Larson, Charles Lawrence, L. O. Whittier and Guy Rogers. He is buried in Maple Grove Cemetery in Wichita. View images by Harden in Wichita Photo Archives. In 1902, Homer began working as a photographer in his father's photograph studio located at 204 East Douglas. The following year he joined his father's business to form A.W. Harden & Son. 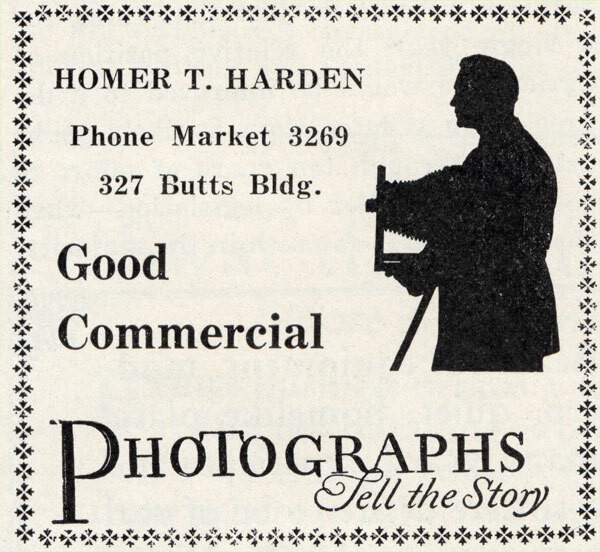 In 1908, Homer left his father's business to start his own commercial photograph studio at 215 East Douglas. He started his business with one camera, two lenses and $200 in building and loan stock. 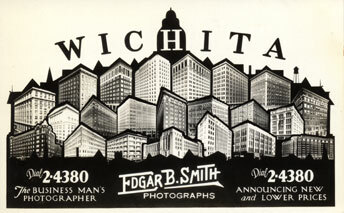 A noted commercial photographer, Harden took many photographs of downtown Wichita which he made into postcards. In 1917, Harden moved his studio to the third floor of the Butts Building on the southwest corner of First and Lawrence. 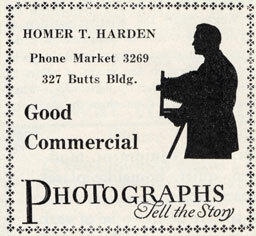 In November 1928, Homer T. Harden at the age of 46 retired from the photography business. He sold his successful studio to Walter E. Carlson and Paul R. Bulla, who continued the business under the name of Carlson & Bulla. Carlson had been an operator and Bulla had been a printer in Harden's studio. At this point in his career, Harden had more than 50 lenses, most of them imported, ranging from a focal length of two inches to 26 inches. His studio occupied 1,500 square feet and had eight employees. Harden was a recognized leader in business, art and philanthropy, as well as active in many social and civic circles. He was a thirty-third degree Mason and was the recorder for the Midian Shrine Temple from 1930 to the time of his death. 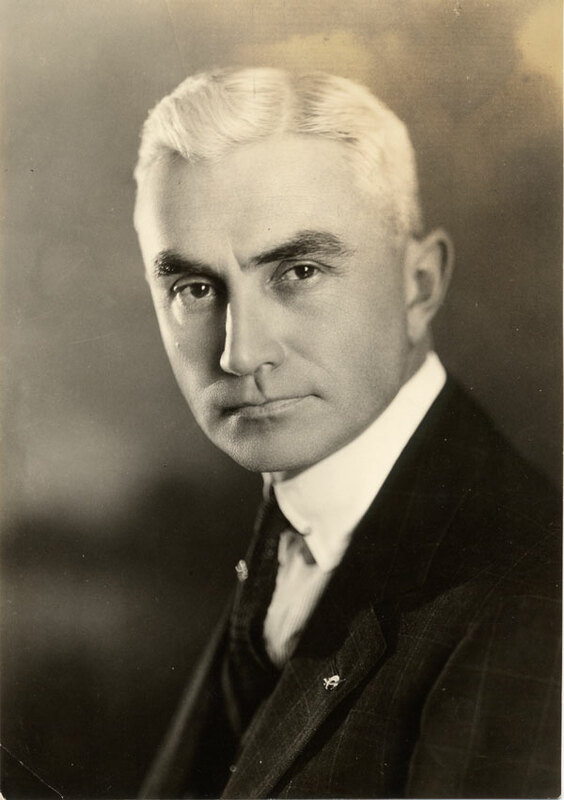 Harden, after a long illness, suffered two heart attacks and died on January 27, 1939, at age 56. He is buried in Maple Grove Cemetery in Wichita. View images of and by Harden and from his collection in Wichita Photo Archives. William S. Rogers and Guy Rogers photographed Wichita for nearly 70 years. William S. learned the business in L. W. Ong's Wichita studio in the 1870s, and then established a studio of his own in 1878. 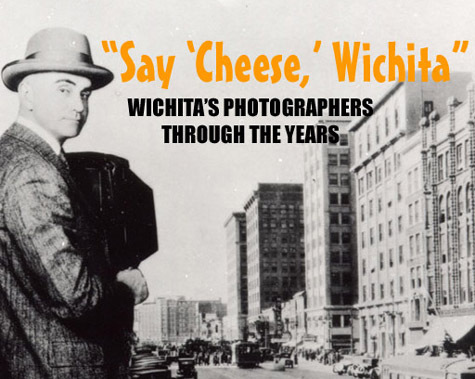 He took thousands of images of Wichitans, some of whom became famous. He knew all the early day residents of the city and took pictures of many. His landscapes vividly depict the early days of the fledgling city. His son Guy joined him in the photography business in 1909. Guy worked alongside his father until 1924 when the elder Rogers retired. He then established the Rogers Studio which continued until the late 1940s. 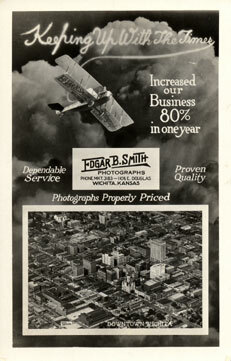 View images of and by Rogers in Wichita Photo Archives. All the coloring is done by hand." 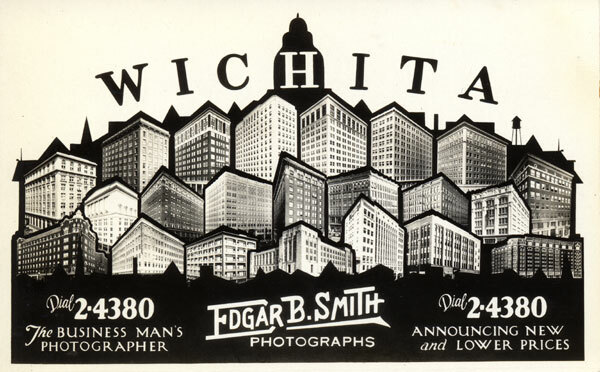 Edgar B. Smith may have done more than any one, single photographer to preserve a memory of the Wichita scene during the growth years of the 1920s to 1950s. 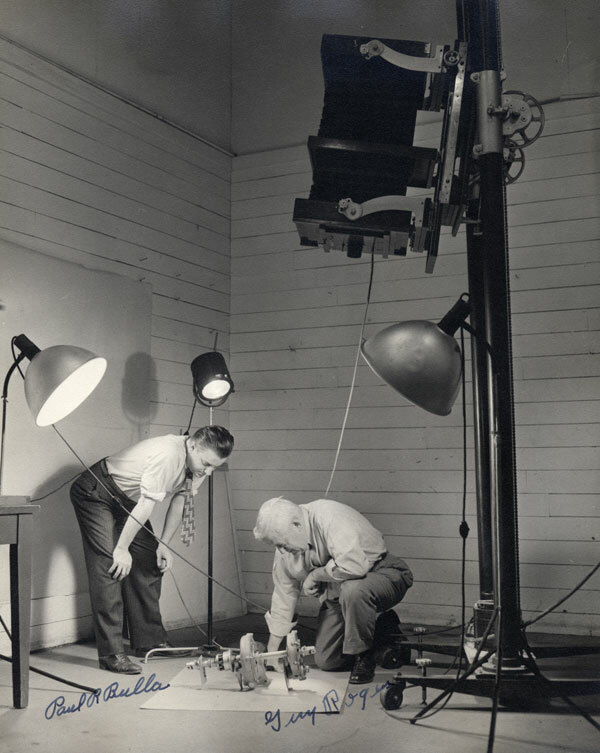 Smith learned his trade in the studio of Wichita photographer Homer T. Harden, who trained him as an apprentice during his high school years. At that same time, Smith enrolled in the first flying class taught by Clyde Cessna and was one of its three graduates in 1917. The partners worked together for a year or two, and then Hodge left Wichita for San Diego. At that point Smith combined his skills in photography and aviation to launch a long career as an independent commercial photographer. 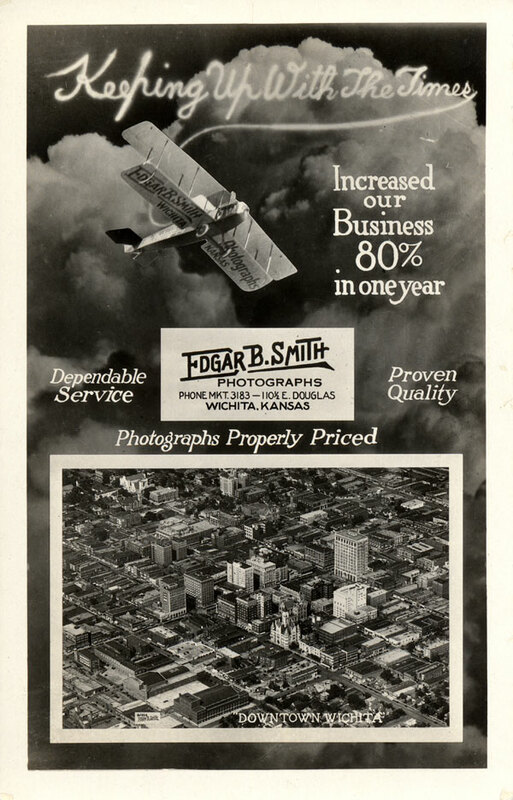 His photographs of thriving Wichita businesses are complemented by his aerial views of the downtown commercial area, the aviation factories, and the milling and refining district. 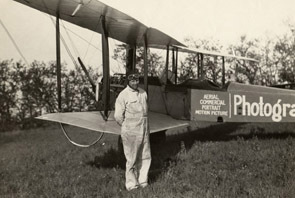 This distinctive legacy earned Edgar B. Smith the reputation as "The Dean of Aviation Photography." View images of and by Smith in Wichita Photo Archives. 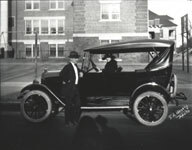 Arthur E. Spalton was a contemporary of Wichita photographer Edgar B. Smith, and, like Smith, began his career in the employment of Homer T. Harden. 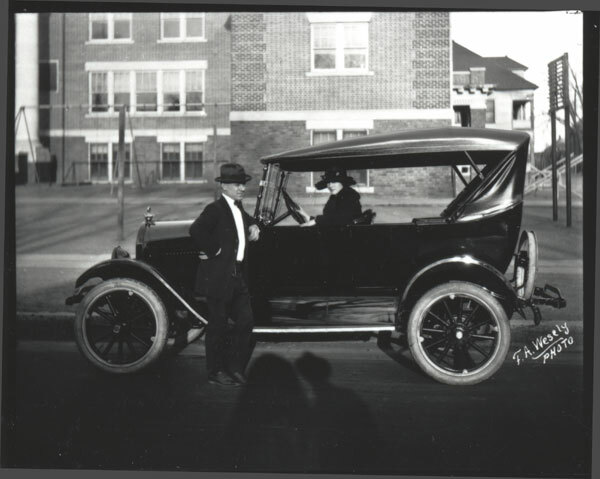 After working in Harden's studio in 1911-1912, he opened his own commercial photography business and operated it in downtown Wichita for over twenty years. In his later years, he apparently worked for Beech Aircraft Company and a nice collection of photographs remains from that period of employment during the World War II era. Those pictures demonstrate the use of various types of equipment in the Beech photo lab. Three other Wichita photographers (Edgar J. Banks, Paul Bulla, and Guy Rogers) are also pictured in this series. Speculation suggests that the men did work for, or hired on at, the aircraft plant to meet the demands of the war effort. View images of and by Spalton and from his collection in Wichita Photo Archives. Frank A. Wesely was born in 1877 in Czechoslovakia. He established his first photography business at Holyrood, Kansas, in 1898. 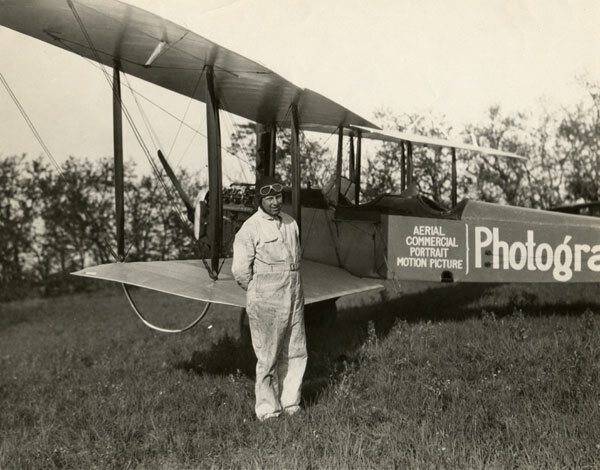 He moved to Wichita in 1919 and purchased the business of one of Wichita's pioneer photographers, Alden W. Harden. The location of that studio was 204 East Douglas Avenue. Wesely subsequently moved his studio to 1105 West Douglas where he worked until he died in 1965. At the time of his death the Wichita Eagle reported that he was the oldest professional photographer in Kansas. Note the shadows of Wesely and his tripod discreetly positioned in the foreground of the image. View images by Wesely in Wichita Photo Archives.